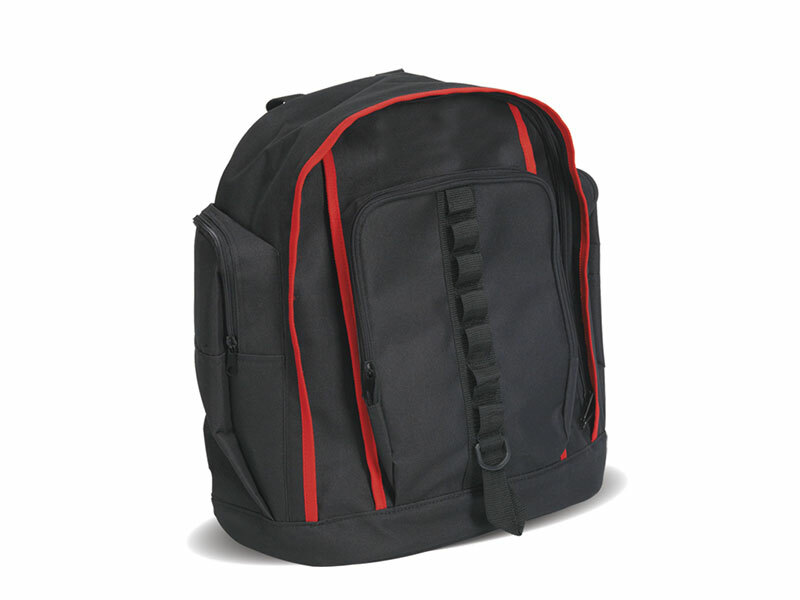 Heavy-duty polyester back pack with padded back and straps for extra comfort when carrying. A solid base increases the strength allowing the bag to be utilised for carrying pest control products. Main compartment with internal compartments, and additional side pockets for additional storage.